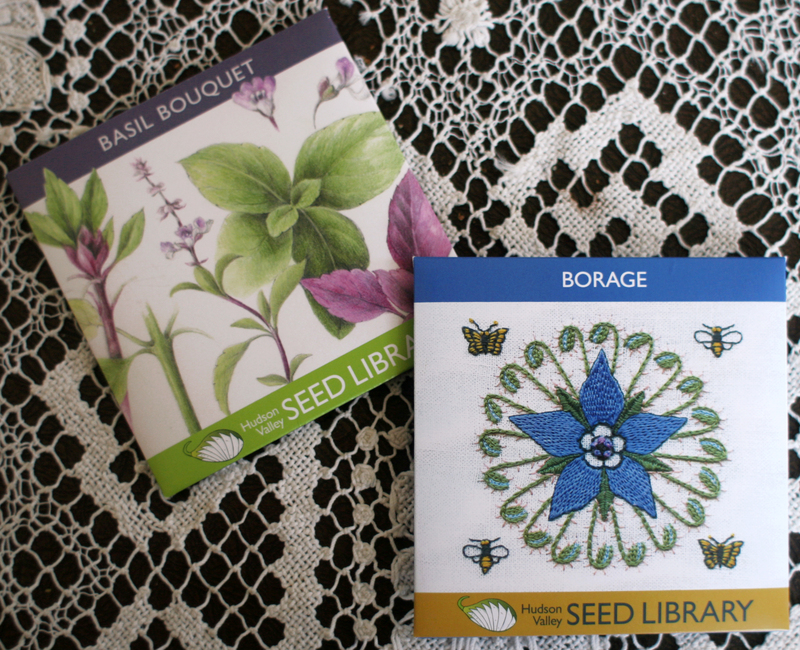 The Hudson Valley Seed Library offers heirloom and non-GMO seeds wrapped in beautiful packages. Each seed pack is designed and illustrated by a different artist and contains a bit about the history and origin of the seeds. The girls and I recently planted some of the borage and Basil seeds in our garden. The borage is for the bees and the basil is for our salads. 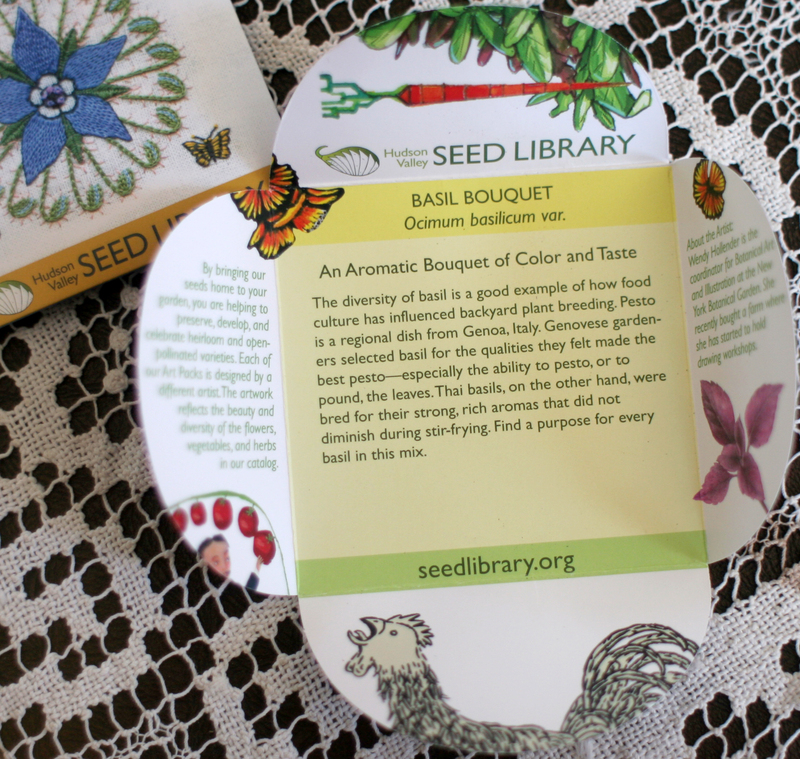 Hudson Valley Seed Library’s seeds would make perfect wedding favors or party thank-yous. 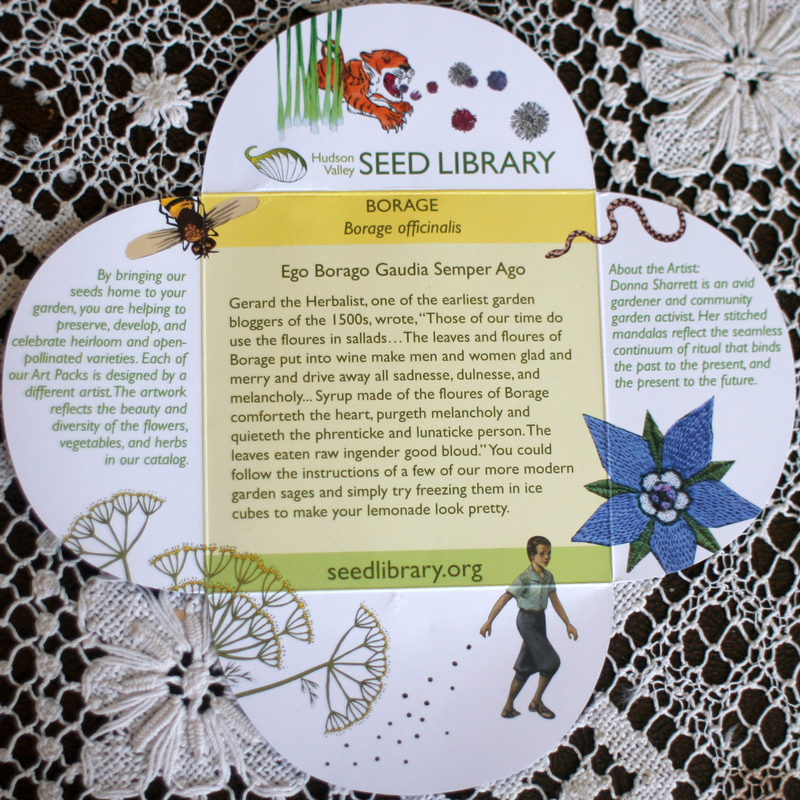 The seed packs are not only pretty, they are also playing an important role in preserving heritage seeds and plants for the next generations. Such exquisite artwork on the seed packages. Sigh.